Our Bristol studio is in the Clifton area of the city. Paid parking is available in the streets surrounding our studio with tariffs being set at £1 per hour. To assist first time visitors here is a photo of the exterior of the building. Like many of our premises the Bristol studio looks like a townhouse. 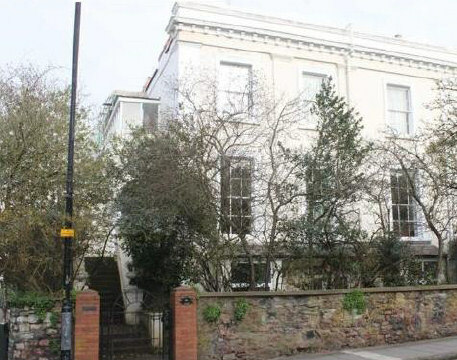 The studio is approximately 2.3 miles away from Bristol Temple Meads station. It is approximately a 13 minute car journey and a Taxi costs around £6 - £8.